Home » Patrick Morley Blog » What Is the Secret of Living a Balanced Life? 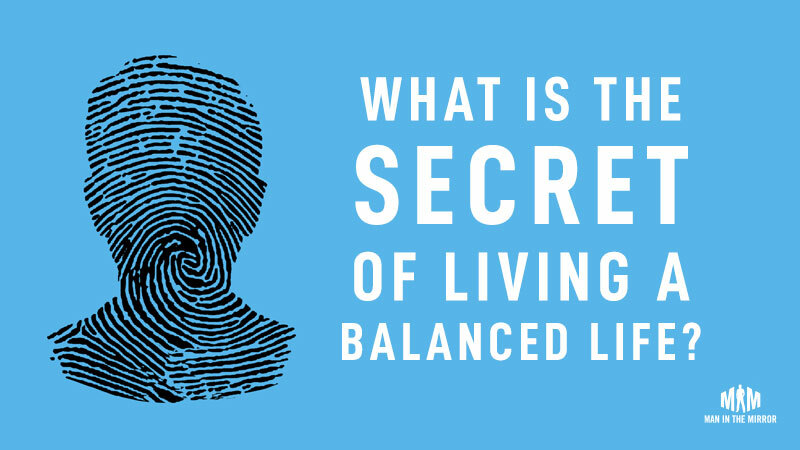 What Is the Secret of Living a Balanced Life? What should a typical day look like for a Christian man? How do I balance everyday life without losing focus on God and what’s important? How do I prioritize effectively? In what ways can I get out of my normal routine and create a godly one? What are some applicable tips to help me use my time better, especially for personal growth? I want everything I do to reflect Jesus. I want integration there. I want a clean break between my work and my family. How do I do that? How can you juggle all the demands on your time, intellect, emotions, money, and relationships? The answer is to live by priorities. Priorities can help you manage the pressures that will otherwise manage you. Having too many priorities is a common complaint. Investor Warren Buffet, the “Oracle of Omaha,” said you can only handle five priorities. He was fanatical about knowing what you want, learning the tools you needed to get there, whittling your list of priorities down to five, and then making everything beyond your top five priorities what he called your “avoid at all cost” list. Of course, there’s no iron law about how many priorities a man can have. And while there’s no “one size fits all” answer, The Christian Man lays out an action plan for you to reflect and settle on your priorities in five major areas: loving God, loving people, vocation, ministry, and money.